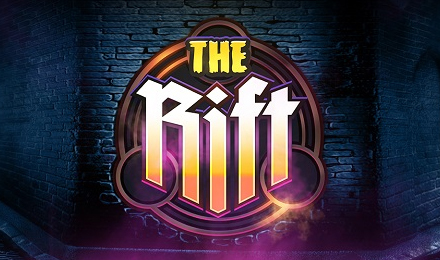 The Rift Slots will take you into a mysterious alley where you have to collect the magical artifacts from the underworld. Enjoy generous bonuses & wins along the way! Do you have what it takes to collect the special artifacts before they get sucked into the portal to the underworld? If the answer is yes, then play The Rift Slots today! It’s dark and mysterious, action-packed, and filled with bonuses and exciting wins. There are regular and Sticky Wilds, FREE spins, 17 paylines and a 96.3% RTP. Good luck!